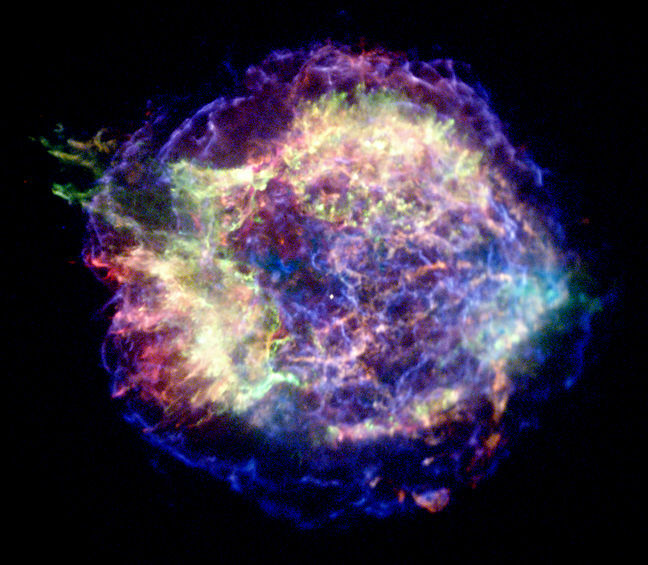 Cassiopeia A, a supernova remnant, is approximately 300 years 'old' and has the distinction of being the strongest radio source that is observable outside our solar system. At any given point in time there seems to be at least one charlatan running around predicting the imminent end of the world. In 2011, radio evangelist Harold Camping predicted the world’s faithful would be ‘Raptured’ on 21 May 2011. Of course, the date turned out to be a total dud, prompting Camping to ‘revise’ his prediction to October 21. Needless to say, at the time of writing we weren’t holding our breath, and with good reason. We might have passed out and missed another apocalyptic non-event!But is there such a thing as valid prophecy or prediction of future events? The results of the Cassiopaean Experiment suggest that there is indeed such a thing, and more (e.g., remote access to unconventional knowledge, whether obscure or just previously unheard of). But the Cs have presented a very unique take on the subject of prediction. It is intimately tied with their cosmology and their view on ‘time’. According to the Cs, our universe is a ‘free will’ universe and time is not a strictly linear ‘one-off’ phenomenon. That means the future is open. More on that below. Most predictions are based on a pretty simplistic, and probably completely false, view of reality. According to this mechanistic idea, the universe was originally set in motion at some imaginary ‘beginning’ point in time by some equally imaginary ‘first cause’. Religions have called this first cause ‘God’ while scientists have deemed it the ‘Big Bang’. Once the machine has been set in motion, it obeys physical laws and plays itself out like clockwork. Theoretically, with enough data, every event in this mechanistic chain of cause and effect can be predicted. So when some prophet gives a prediction of a future event, he or she is basically operating on the assumption that because ‘God’ or some other divine being is omniscient and can see how everything will play itself out (and assuming this being actually exists, and that it is not simply pulling a cosmic practical joke on its subject), it’s gotta be right. But things aren’t that simple.As we see in the cases of Harold Camping and countless others, their predictions are, more often than not, completely wrong. In such cases, the rationalization machine goes into overdrive and various explanations are given to account for the contradiction of a truth-telling God whose prophetic pronouncements have proven to be profoundly problematic. Usually, God simply changed his mind. Because even if the world follows mechanistic laws, God is the great supernatural exception. He’s completely separate from our lowly physical world and can intervene at will and change the game whenever he chooses. Of course, most scientists reject God, or any other supernatural element, from their equations. According to them, Camping along with everyone else making such predictions are simply delusional crackpots or charlatans. (When was the last time you heard a prophet say, “Well, I may be completely off my rocker, but…”? )But what about cases where predictions turn out to be true? What about the phenomena of prophetic dreams and premonitions? Even if we’ve experienced such a thing in our lives, or know someone who has, we lack a coherent explanation that accounts for all the data, and if we’ve resolved not to believe in such things, we simply write them off as coincidence and forget all about them. This is where the Cs’ presentation is so interesting. According to them, we do not live in a strictly material, deterministic universe, nor is ‘God’ separate from Nature. As always, the devil is in the details. Unlike mechanistic scientists who reject the reality of free will, the Cs wholly endorse it. Indeed, it’s an essential part of our reality. But what does this mean? Basically, we all make choices. And one choice, made during certain conditions, can change the course of the future. This means that time is not some static line, like a film reel playing itself out to its predetermined end. Rather, at any given moment, based on the collective choices of the units of consciousness making up the whole, the future can go one way or another. If people act in predictable, habitual ways and little ‘new’ choices enter the game, sure, the future can probably be predicted. But when an important choice affecting other future choices is made, it’s as if we have entered a new timeline, one that previously existed only as a nebulous probability – one among billions of such probabilities. In this sense, we do exist on one ‘line of time’. It’s the reality we experience as our lives: the events and interactions that make up the sum total of our experience. But it’s merely one of many possible realities that we occupy based on our collective choices. A prediction that may have been true at one point in ‘time’, following a choice that is significant to one degree or another on the part of one or more individuals, may not hold true beyond that point. What the Cs are basically saying is that predictions that turn out to be wrong aren’t necessarily wrong because the people were lying or delusional (although many undoubtedly are). Future events can be foreseen, but there are certain laws and conditions that need to be taken into account. Q: (T) One last question. How do I know you are telling me the truth? A: Open. For you to decide. Listen: Now would be a good “time” for you folks to begin to reexamine some of the extremely popular “Earth Changes” prophecies. Why, you ask. Because, remember, you are third-density beings, so real prophecies are being presented to you in terms you will understand, i.e., physical realm, i.e., Earth Changes. This “may” be symbolism. Would most students of the subject understand if prophecies were told directly in fourth-density terms? Q: (L) Is this comparable to my idea about dream symbolism? For example, the dream I had about the curling cloud, which I saw in a distance and knew it was death-dealing and I interpreted it to be a tornado, but it was, in fact, a dream of the Challenger disaster. I understood it to be a tornado, but in fact, what I saw was what I got: a death-dealing force in the sky, a vortex, in the distance. I guess my dream was a fourth-density representation but I tried to interpret it in terms I was familiar with. Is this what you mean? A: Close. But it is easy for most to get bogged down by interpreting prophecies in literal terms. Q: (L) In terms of these Earth Changes, Edgar Cayce is one of the most famous prognosticators of recent note. A large number of the prophecies he made seemingly were erroneous in terms of their fulfillment. For example, he prophesied that Atlantis would rise in 1969, but it did not, though certain structures were discovered off the coast of Bimini, which are thought by many to be remnants of Atlantis. These did, apparently, emerge from the sand at that time. A: Example of one form of symbolism. Q: (L) Well, in terms of this symbolism, could it be that [when you tell us things about our reality], you read events from third-density into sixth-density terms and then transmit them back into third; and while the ideation can be correct, the exact specifics, in third-density terms, can be slightly askew due to our perceptions? Is that what we are dealing with here? Q: (L) Well, let’s not denigrate literal translations or at least attempts to get things into literal terms. I like realistic artwork. I am a realist in my art preferences. I want trees to look like trees and people to have only two arms and legs. Therefore, I also like some literalness in my prognostications. A: Some is okay, but, beware or else “California falls into the ocean” will always be interpreted as California falling into the ocean. Q: (General uproar) (F) Wait a minute, what was the question? (L) I just said I liked literalness in my prophecies. (F) Oh, I know what they are saying. People believe that California is just going to go splat! And that Phoenix is going to be on the seacoast; never mind that it’s at 1,800 feet elevation, it’s just going to drop down to sea level; or the sea level is going to rise; but it’s not going to affect Virginia Beach even though that’s at sea level! I mean … somehow Phoenix is just going to drop down and none of the buildings are going to be damaged, even though its going to fall 1,800 feet … (T) Slowly. It’s going to settle! (F) Slowly? It would have to be so slowly it’s unbelievable how slowly it would have to be! (T) It’s been settling for the last five million years, we’ve got a ways to go in the next year and a half! (F) Right! That’s my point! (T) In other words, when people like Scallion and Sun Bear and others who say California is going to fall into the ocean, they are not saying that the whole state, right along the border is going to fall into the ocean, they are using the term “California” to indicate that the ocean ledge along the fault line has a probability of breaking off and sinking on the water side, because it is a major fracture. We understand that that is not literal. Are you telling us that there is more involved here as far as the way we are hearing what these predictions say? Q: (T) So, when we talk about California falling into the ocean, we are not talking about the whole state literally falling into the ocean? A: In any case, even if it does, how long will it take to do this? Q: (LM) It could take three minutes or three hundred years. (T) Yes. That is “open” as you would say. A: Yes. But most of your prophets think it is not open. Q: (T) Okay. So they are thinking in the terms that one minute California will be there and a minute and a half later it will be all gone. Is this what you are saying? A: Or it all may be symbolic of something else. Q: (L) Such as? Symbolic of what? A: Up to you to examine and learn. Q: (L) Now, wait a minute here! That’s like sending us out to translate a book in Latin without even giving us a Latin dictionary. A: No it is not. We asked you to consider a reexamination. Q: (L) You have told us that there is a cluster of comets connected in some interactive way with our solar system, and that this cluster of comets comes into the plane of the ecliptic every 3,600 years. Is this correct? A: Yes. 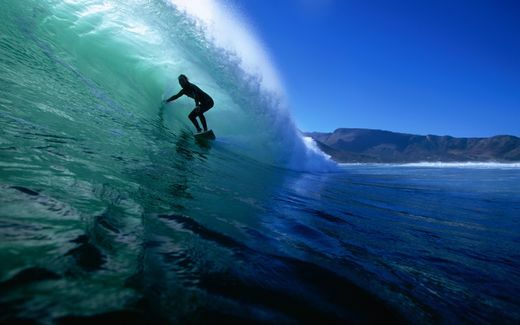 But, this time it is riding realm border wave to 4th level, where all realities are different. Q: (L) Okay, so the cluster of comets is riding the realm border wave. Does this mean that when it comes into the solar system, that its effect on the solar system, or the planets within the solar system, (J) or us (L) may or may not be mitigated [made less severe] by the fact of this transition? Is this a mitigating factor? A: That is strictly 3rd-level thinking. Q: (L) Now, if that is third level thinking, and if a lot of these things are symbolic, I am assuming they are symbolic of movement or changes in energy. Q: (L) And, if these changes in energy occur, does this mean that the population of the planet are, perhaps – in groups or special masses of groups – are they defined as the energies that are changing in these descriptions of events and happenings of great cataclysm? Is it like a cataclysm of the soul on an individual and or collective basis? Q: (L) When the energy changes to fourth density, and you have already told us that people who are moving to fourth density when the transition occurs, that they will move into fourth density, go through some kind of rejuvenation process, grow new teeth, or whatever; what happens to those people who are not moving to fourth density, and who are totally unaware of it? Are they taken along on the Wave by, in other words, piggybacked by, the ones who are aware and already changing in frequency, or are they going to be somewhere else doing something else? Q: (T) In other words, we are looking at the fact that what’s coming this time is a Wave that’s going to allow the human race to move to fourth density? A: And the planet and your entire sector of space-time. Q: (T) Is that what this whole plan is about, then, if I may be so bold as to include all of us here in this? We could be beings who have come here into human form, to anchor the frequency. 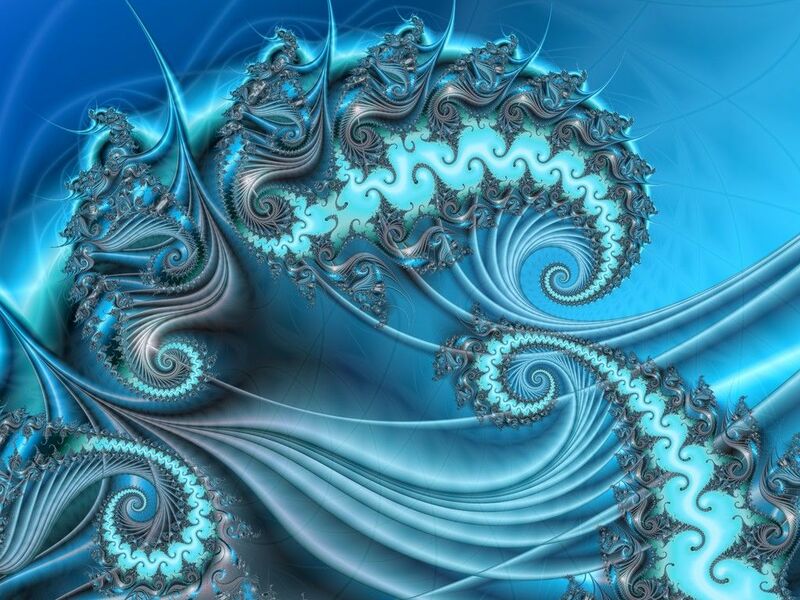 Is this what we are anchoring it for, for this Wave; so that when it comes, enough of us will be ready, the frequency will be set, so that the change in the planet can take place as it has been planned? Q: (T) Okay, when the people are talking about the Earth Changes, when they talk in literal terms about the survivors, and those who are not going to survive, and the destruction and so forth and so on, in third, fourth, and fifth-level reality, we are not talking about the destruction of the planet on fourth-level physical terms, or the loss of ninety per cent of the population on the fourth level because they died, but because they are going to move to fourth level? A: Whoa! You are getting “warm”. Q: (T) Okay. So, we are anchoring this. So, when they talk about ninety per cent of the population not surviving, it is not that they are going to die, but that they are going to transform. We are going to go up a level. This is what the whole light thing is all about? A: Or another possibility is that the physical cataclysms will occur only for those “left behind” on the remaining 3rd-level-density Earth. So, not only do we have to take into account the source of the prediction (whether it be delusion, genuine ‘psychic’ ability, or communication with a ‘higher’ intelligence) and the fact that prediction may be accurate at the time but not after possible future events affecting its outcome, we also have to consider that such things are often presented in symbolic language. And there may be something to the whole ‘Rapture’ concept after all, but as is usually the case, the truth probably bears little resemblance to the religious gloss. And, like any avid reader of science fiction knows, one author’s personal ‘fantasy’ may turn out to be strikingly close to reality, either now or in the future. Coincidence, or something else entirely? With all that in mind, let’s take a look at a series of predictions given at one of the earliest sessions, 16 July 1994, on the day that Comet Shoemaker-Levy 9’s fragments collided with Jupiter in a spectacular display that stunned scientists and observers the world over. Q: (L) What are you here for tonight? The Wallow Fires in Arizona this year. A: Tornadoes Florida – several. A: Also Texas and Alabama. Q: (A) I want to continue questions from the previous session. 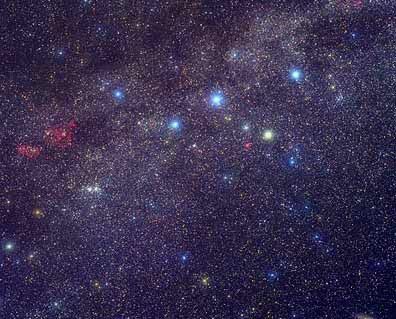 First, about this companion star: where is it now, which part of the zodiac? So this series of predictions seems to be tied to the Sun’s hypothesized companion star and they were possibly given as indicators of its approach. Interestingly, 2011 saw several of these events come to pass. While Texas saw some minor tornado activity on 24 October 2010, as did Florida on 31 March 2011, the Southern U.S. (including Florida, Texas and Alabama, in addition to several other states) was pummeled in late April 2011 in what was called “one of the largest tornado outbreaks in history”: a series of over 300 tornadoes, 15 of which were classified as EF4 or EF5 on the Enhanced Fujita Scale, killing over 300 people (EF5 being the highest on the scale). Alabama was hit hardest, with 254 fatalities. This was followed the month after with a series of 158 tornadoes afflicting the Midwestern U.S. and resulting in almost the same number of fatalities. 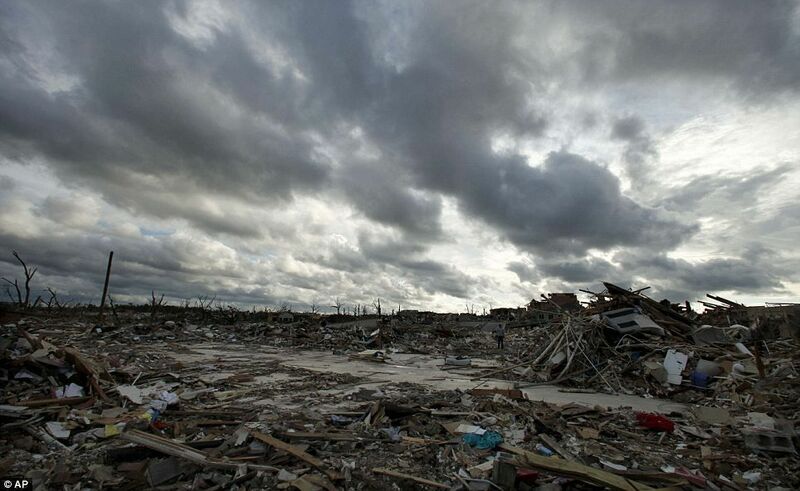 The major, multi-vortex EF5 tornado, which leveled the town of Joplin, Missouri, stood out as one of the major U.S. natural disasters of recent years. All in all, after only five months, 2011 was deemed the deadliest year for tornadoes in recorded history. Then, in late May/June, Arizona burned when the Wallow Fire consumed over 500,000 acres in Eastern Arizona, making it the largest forest fire in Arizona’s history. 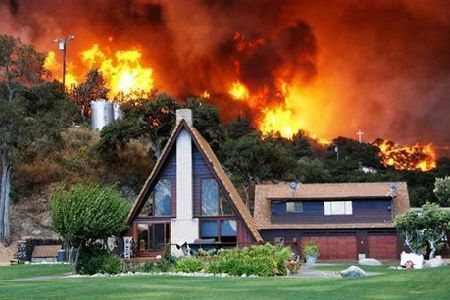 By the time the fire made the record books, over 10,000 people had been displaced and the fire was only six percent contained, with full containment “nowhere in sight.” (A possible meteor sighting occurred on 31 May, perhaps explaining how this gigantic blaze erupted, although officials suspect a campfire was to blame.) And while the fires were just getting started, Missouri shook with a 4.2 magnitude earthquake on 7 June. Q: (L) Can you give us more on that? A: There will be activity about 8.9: 67 miles off Osaka coast; 9.7: central Tokyo. Q: (L) Are all of these going to happen within this year? A: No. Within 16 years. 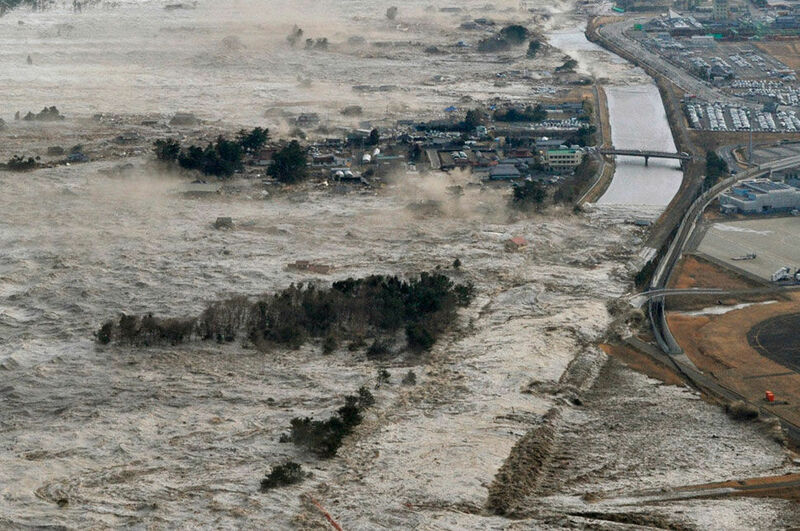 Q: (T) So this [Japanese earthquake on 17 January 1995] was not the quake that you predicted – the 8.9 – this was a 7.2, but it was miles distance from Osaka almost right on the money, but this was not the quake that you predicted? (J) There’s going to be another one coming? Q: (T) This is one in a sequence of earthquakes that are going to culminate in the 8.9? A whole swathe of Japan was wiped off the map this year too. Q: (T) In Osaka, near Osaka? Q: Okay, that’s the one you talked about, then a 9.6, that’s going to be the culmination of the quakes in this [sequence]. This is only the third or fourth in a sequential series and the 8.9 that’s going to hit them hasn’t happened yet. Q: (T) This is the seventh earthquake? Q: (T) 7.2 was the seventh earthquake, there’s going to be fourteen of them, is that what you said before? Q: (J) So there’s seven more coming? (T) So the fourteenth one will be the big one, in Tokyo? Q: (T) Okay, the thirteenth is going to be the 9.6 and I think the other prediction was 9.8, they’re close. That’ll be the thirteenth. What will be the 8.9, which one of those will be the Osaka 8.9? A: Within next 4 [in the sequence?]. Q: (T) What will the fourteenth be? If we only consider the quakes that caused a significant number of deaths (>1) since that time, and if the quake referred to above was the seventh in a series of fourteen, then there is a perfect match with the prediction so far: 7) 17 January 1995 (6.8, 6,434 deaths), 8 ) 23 October 2004 (6.9, 40 deaths), 9) 16 July 2007 (6.6, 11 deaths), 10) 14 June 2008 (6.9, 12 deaths), 11) 11 March 2011 (9.0, 15,826 deaths), 12) ?, 13) predicted 9.6 in central Tokyo, 14) ? (small). Additionally, the physical stress of the actual earthquake was not the only thing to ‘buckle’ Japan. The Fukushima meltdowns and subsequent fallout continue to threaten the health of the region’s inhabitants, and residents are confused and furious. A: Gold is discovered in California after one of the quakes. Q: (T) OK, so when this all happens is there going to be an effect on California of all of this, on the West Coast of this country? Q: (T) Not just California. Is Los Angeles going to be hit with any of these big earthquakes as the plate on the other side moves? Q: (T) Where will that happen? Q: (T) Is that outside of Los Angeles? San Andreas Fault line? Q: (T) Will this be very destructive to Los Angeles? Q: (T) Those dumb people out there looked at that Osaka stuff and said, “Oh, you know, that might happen to us.” OH, boy, the brain finally fired up out there. (J) They’ve been in denial about that out there… (D) Will that bring an influx of people to Florida? Q: (D) And then they’re going to move. (T) Fifteen quakes in the California area? Q: (T) Are we talking strictly the West Coast here? Q: (T) Are there going to be earthquakes elsewhere in the United States? Q: (T) So look at it symbolically. (D) Okay. (J) Where are the other quakes going to be? A: Hundreds [in addition to those in California]. Given the Cs’ use of symbolic language as well as their comments on a ‘mass exodus’, perhaps the ‘California crumbles’ remark is referring to the general state of California’s economy. As the Business Insider reported in October 2010, “the economy of the state [of California] is in shambles.” Unemployment had risen from around 5% in 2006 and 2007 to over 12%. Poverty rates are the highest in over a decade, the health care system is about to collapse, and five out of six businesses are out of business. While there are fewer Californians leaving the state than in past recessions (500,000 between 2004 and 2010 compared to 1,500,000 between 1991 and 1998), California’s domestic immigration is still in the negative. And the record number of businesses relocating out-of-state in 2010, which has only accelerated in 2011, has been called an ‘exodus’ in the media, with headlines like ‘CA Business Exodus Accelerates’ and ‘The California Exodus’. 204 companies left in 2010, making for an average of 3.9 per week. By 16 June 2011, that average was already at 5.4 per week. Given the timing of the events in question, perhaps this little news item is symbolic in and of itself? 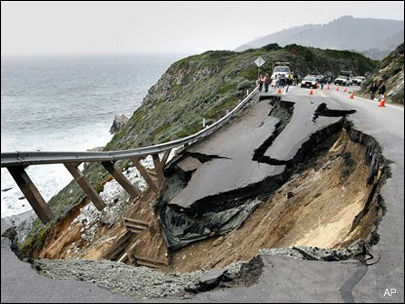 It is the most scenic highway in America, but a big chunk of California’s Highway 1 has fallen into the sea after a landslide. Stunned drivers watched as a forty-foot section tumbled into the Pacific below after several days of rain. The landslide, at 5pm on Wednesday [16 March 2011], happened 12 miles from Carmel. A two-mile stretch is now closed for repairs which are expected to take several days. A sign of things to come? Needless to say, the Cs repeatedly stressed that the near future would be a time of extreme weather and Earth Changes, which is now playing itself out with frightening accuracy. After the extremes of 2010, 2011 has only upped the ante in turns of natural disasters. With record numbers and intensity of floods, cyclonic storms, snowfall, meteor sightings and sun-grazing comets, it looks like Mother Nature is just getting warmed up.